There are a myriad of ways for us to work play together. . . I teach Defense Against the Dark Arts through sacred play, storytelling, and building circles of people willing to do the deep work and change the world we live in. Together, we break down our inner restraints so we can live from a place of freedom in every moment. The work we do within ourselves impacts our communities so we can crack the matrix of collective oppression and social control. 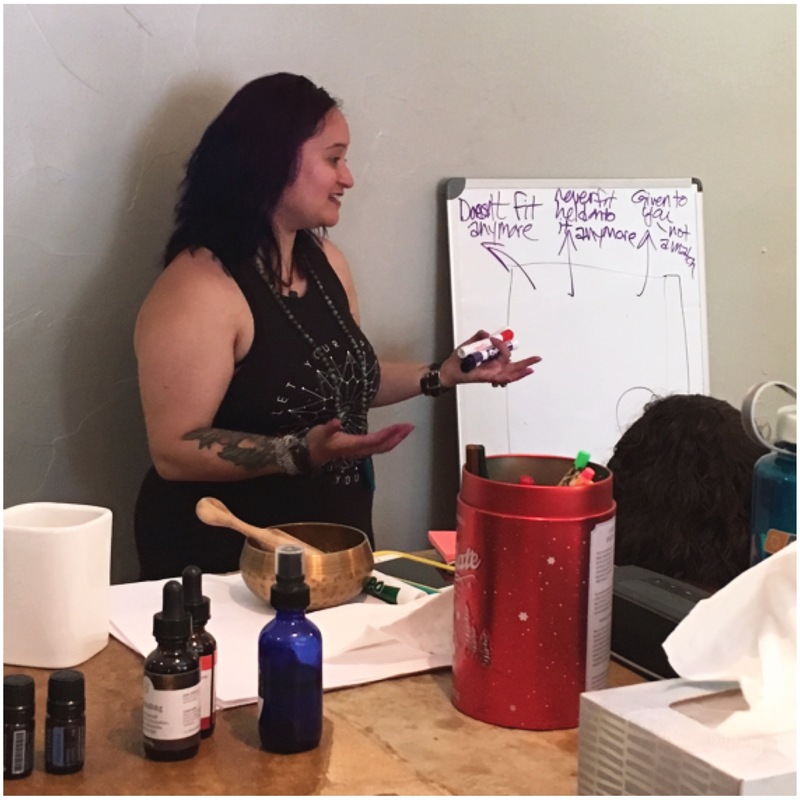 I teach classes and workshops, facilitate retreats, and work with individual clients to clear out what is no longer serving them in playful ways so we can live from choice in every moment. The Dragon’s Well is an unlearning book club. We are breaking free from domestication, healing our ancestral lines, and listening deeply to our descendants prayers. This is a circle of womxn and non-binary folx brought together to reclaim our magic and dismantle the Dream of the Planet. Together, we will embark on a magical journey through a library of books meant to transform our lives. We will use the fire of our spirits to burn away what no longer serves us and dive deeply using curiosity, creativity, and courage. Each session, we plunge into our readings from a place of openness and curiosity about how they tie into living the warrior goddess way. 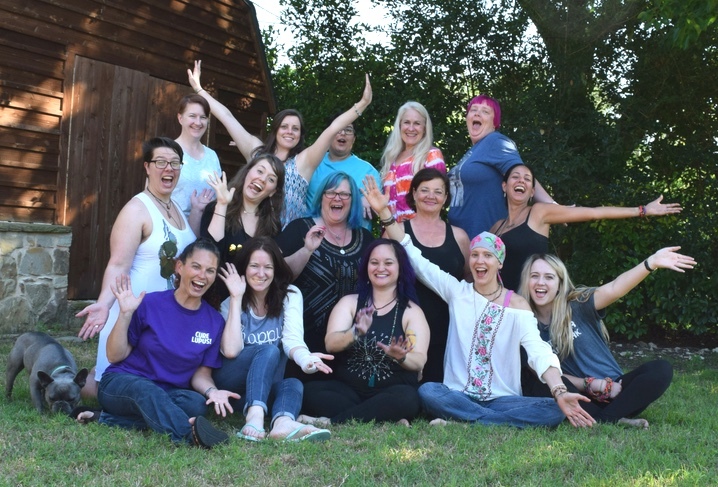 Our sessions bring us to a place where we consider how we are currently living in our lives and where we would like to adopt warrior goddess training tools to support us in creating change. We do this in a circle of womxn who believe in us and support us. We don’t try to fix or change anyone else in our circle, but instead are held from a place of witness and sacredness. Join us once a month for this inspirational, unlearning book club experience. We dive into books such as The Four Agreements, Alice in Wonderland, The Spirit of Intimacy, and Warrior Goddess Training. Once a month we’ll dive into lessons related to the chapters we are reading. I offer workshops and retreats where people can learn practical tools on how to come back home to themselves in a playful way. I also facilitate Warrior Goddess Foundation classes in small groups monthly. A Year to Live – 12-month circle of 12 individuals ready to dive into Toltec and Buddhist work to live from our heart and come back to our magic. This brand new program will launch in October. It will be an advanced circle of those who have worked with me before. It will only be open to 12 individuals. We’ll meet monthly over a year to study Toltec and Buddhist teachings to live our life wholeheartedly. Through a monthly workshop and two group coaching sessions a month we’ll learn what it means to truly access freedom in every moment. This circle will bring together art, creativity, energy work, wisdom teachings, community and individual ritual, and rites of passage. This Warrior Goddess Training program was designed to bring together the most potent Toltec, European Shamanism, and Buddhist tools from around the world. We work play together 1:1 using many tools, including: healing energy work, dream journeys, sound, movement, tarot, dream processing, art, ritual, spacial clearings (for home or office), rites of passage, and other medicine tools. Email me to set up your free 30-minute consultation.